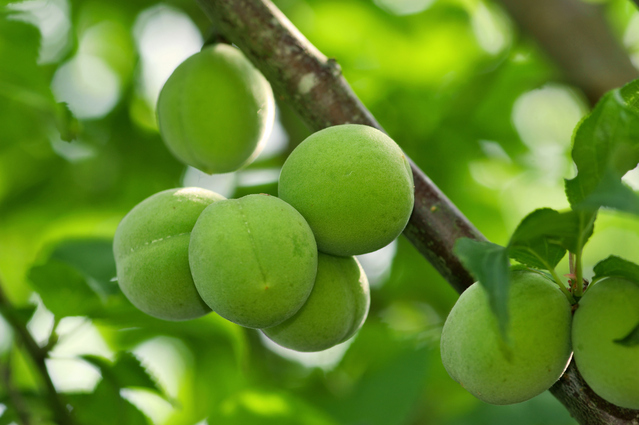 Umeshu is Japanese liquor made from soaking unripe ume, sugar and shochu which is Japanese clear distilled spirit. 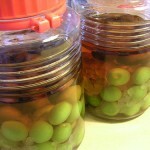 You might know it as “Plum wine” but it’s neither plum nor wine. 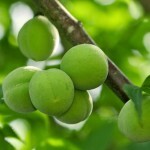 Umeshu contains 10 to 15 percent of alcohol, and tastes sweet. Because it goes with any flavor or drinks, it can be served in various ways. 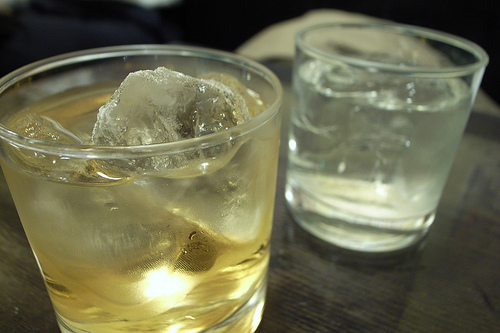 The popular umeshu drinks are, Umeshu on the Rocks, Umeshu Sour, Umeshu Tonic, Umeshu Soda and Hot Umeshu. Also, any kind of fruit juice, green tea, woo long tea, black tea, milk, soy milk, sports drink, beer and wine are good with umeshu.